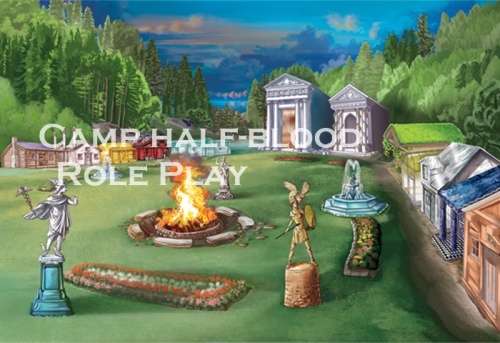 Life Before camp half-blood: Lived in a small apartment with her mother, who didn't have a lot of money but went to a camp for delinquents (not CHB) and met Jenny the horse, and stayed the whole summer until a gorgon came and tried to turn her to stone. A satyr named Will saved her and brought her to Camp. role play Example: I almost turned around to see the gorgon, but remembered what she could do. I snapped my head back. I heard her hissing behind me. Where was Will when I needed him? She was right behind me, and I could hear the snakes in her hair, waiting to eat me. I felt something in my pocket. Huh. A Sharpie. My ADHD won the battle vs my common sense, and I uncapped the Sharpie, which turned into a huge sword. I was so scared that I stumbled backwards and accidentally killed my gorgon-counselor. I almost said sorry, before remembering that she tried to kill me first. Now, how would I hide this... "Liesie!" shouted Will. Busted. "She tried to kill me!" I said pointing to... A pile of dust? Wha... Will started talking. "I know. Come on, we need to get out of here!"